One of my favorite parts of exploring Pennsylvania is the amazing stories that you learn about in small town museums. The Saxonburg Museum in Butler County is a perfect example of this. 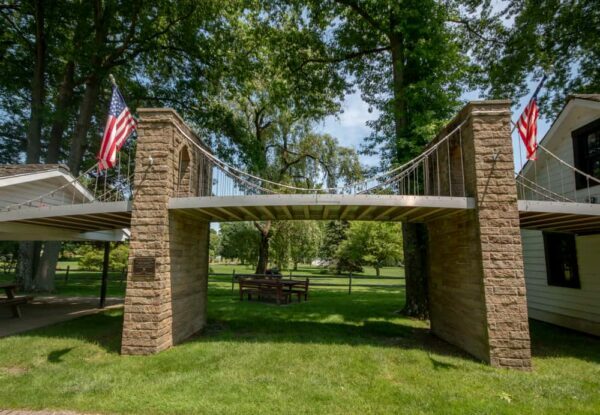 Saxonburg was founded as Germania in 1832 by Carl Roebling and his brother John Roebling. Others fleeing unrest in present-day Germany came to join this farming community in the western Pennsylvania wilderness. 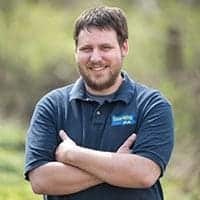 After several years of farming, John Roebling returned to his roots as an engineer. He soon figured out how to twist wire together to create strong wire cable. Roebling set up a workshop and wire twisting apprentice that wound cables up to 2,500 feet long. 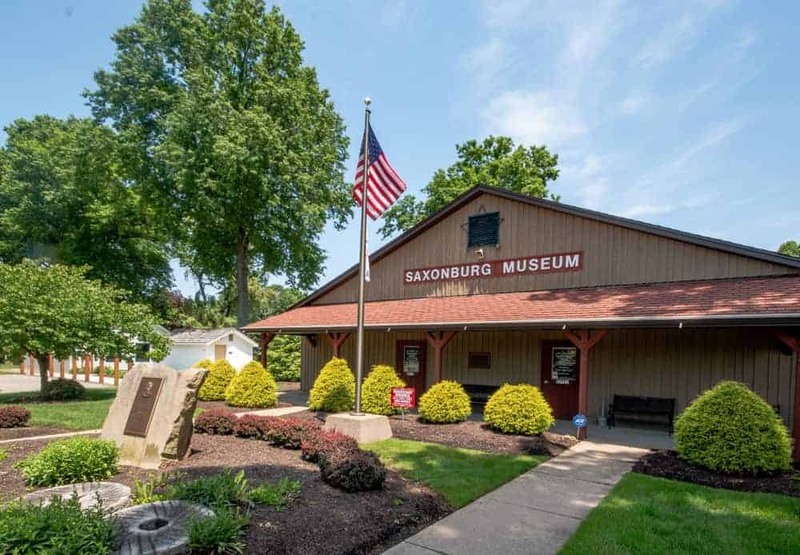 The Saxonburg Museum is located on the site of Roebling’s first wire mill. Roebling would use this patented technology to create suspension bridges, most famously the Brooklyn Bridge in New York City. In 1991, the Saxonburg Museum opened on the site of Roebling’s former wire twisting factory. The museum features a large building filled with great displays about life in Saxonburg as well as about Roebling. The museum consists of a single large room with several smaller spaces tucked off to the sides of the building. 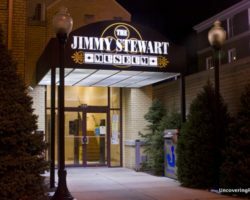 Much of the museum is similar to many of the other historical society museums I’ve visited in Pennsylvania, showcasing local industries, items from decades past, and, of course, hair art. For a small town museum, these displays were incredibly well done, and I was quite impressed with them and how they told the story of the community. 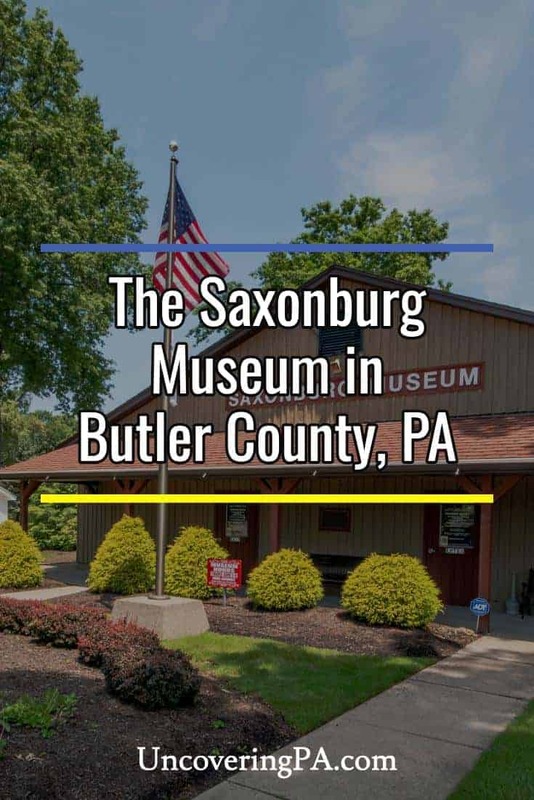 However, there were also several displays that set the Saxonburg Museum apart from other historical society museums and make a trek to this museum very worthwhile. 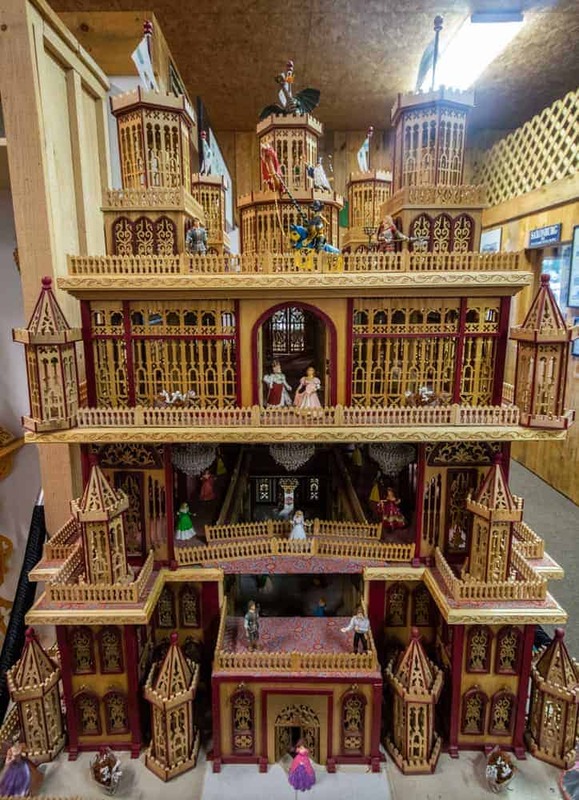 A large wooden castle made by a local artist. The first is an amazing collection of wooden carvings. The many pieces on display were carved by two local artists and are incredibly intricate. These pieces of art include small buildings, a Ferris wheel, a replica of the Eiffel Tower, and even a large castle. If you love woodworking or can appreciate amazing pieces, these aren’t to be missed. Another interesting highlight of the Saxonburg Museum is the original spider coil used to transmit KDKA (the world’s first commercial radio station) into the Pittsburgh suburbs. While the building the equipment is housed in is a replica, the equipment inside is authentic and offers an interesting looking into what was needed to broadcast a radio station decades ago. The museum houses some of the original equipment used by local radio station KDKA. 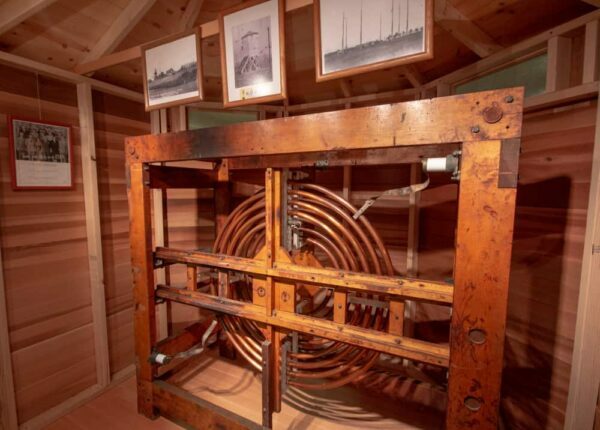 There is also a small display of oil drilling equipment, including information about William Smith, who worked with Edwin Drake to drill the world’s first oil well. While Drake gets all the credit, Smith was the one that figured out how to actually drill the well properly. However, while I quite enjoyed the entire museum, what drew me to Saxonburg was the story of John Roebling. Inside the room dedicated to John Roebling. While there’s a bit about Roebling’s role in the founding of the town in a few places throughout the museum, there is also an entire room dedicated to him and his accomplishments. 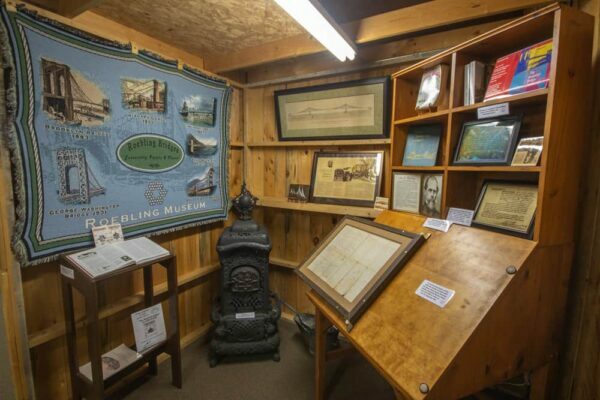 Inside this room are a variety of items related to his life in Saxonburg and his bridge building career. One of the highlights of the Roebling exhibit was a property deed from 1849 that was sign by both him and his wife. The room is also full of memorabilia including equipment that he used, replicas of bridge drawings that he made, and an old piece of cable that was made in his factory. If you have the time, the museum also shows Ken Burns’ documentary “Brooklyn Bridge” which tells about the building of Roebling’s most famous work. Roebling’s workshop and a replica of the Brooklyn Bridge sit next to the museum. Adjacent to the museum are two interesting structures. The first is John Roebling’s workshop from when he lived in Saxonburg. It was built as a home for him and his brother when they moved to the area, and they lived there until their larger homes were completed. 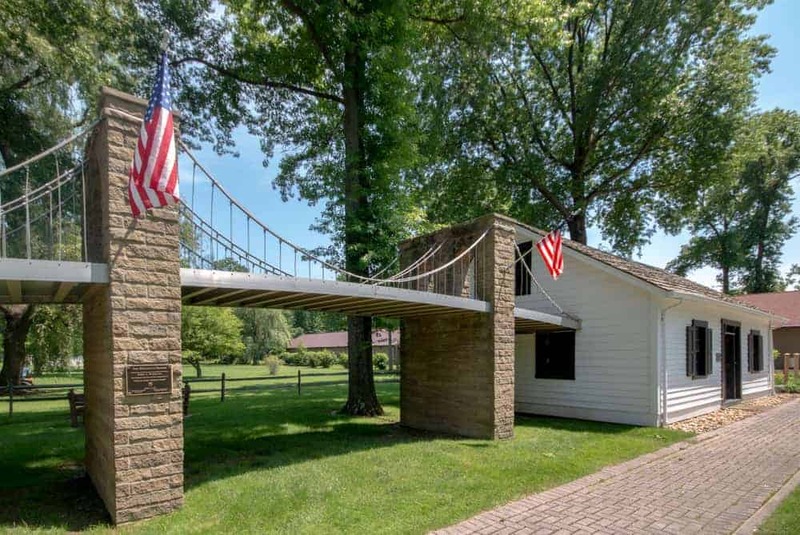 After that, it became John’s workshop where he perfected his wrapped cables that he would use to build bridges such as the Brooklyn Bridge and the John Roebling Suspension Bridge in Cincinnati. During my visit, the interior was undergoing restoration, but I’m told that they plan to put some excellent displays inside once completed. Attached to the side of the workshop is a replica of the Brooklyn Bridge. Original a float that was used in local parades, it now has a permanent location next to the workshop. While it’s not an exact replica, it’s a fitting tribute to man that was so important to the community of Saxonburg. A closer look at the replica of the Brooklyn Bridge. Before you leave the area, head into town and check out Saxonburg Memorial Church, which was designed by John Roebling. Just down Main Street from the church is Roebling’s former home, which is now the church’s office. A small plaque on the home denotes its historic connection. 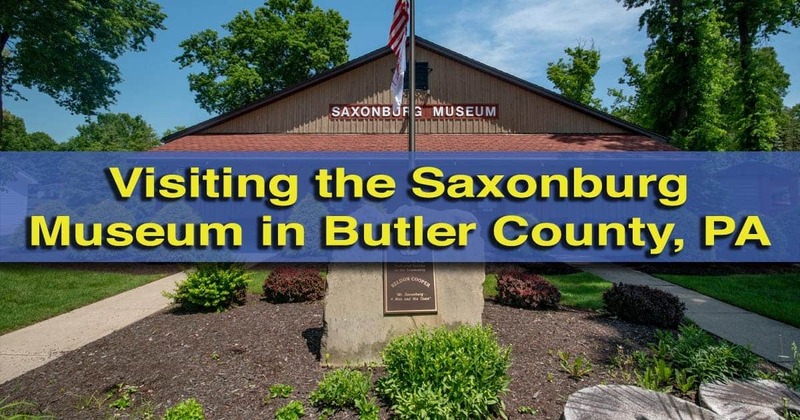 For a small town historical society museum, the Saxonburg Museum is quite fantastic. 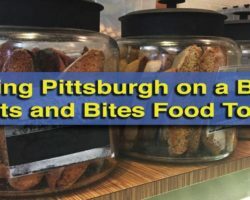 Not only does it have an interesting story to tell about Roebling, but it is also a well-curated and designed museum that rivals many county-level historical society museums in Pennsylvania. 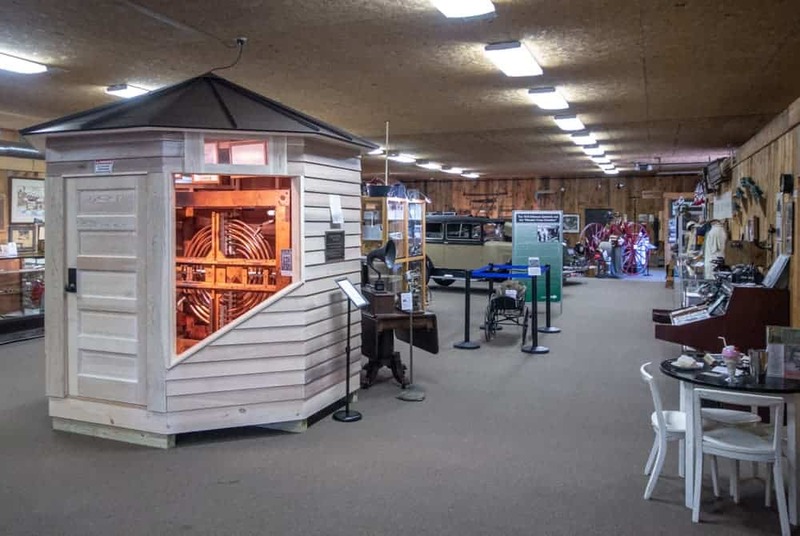 If you have an interest in engineering or local history, you won’t want to miss this great museum in Butler County, Pennsylvania. 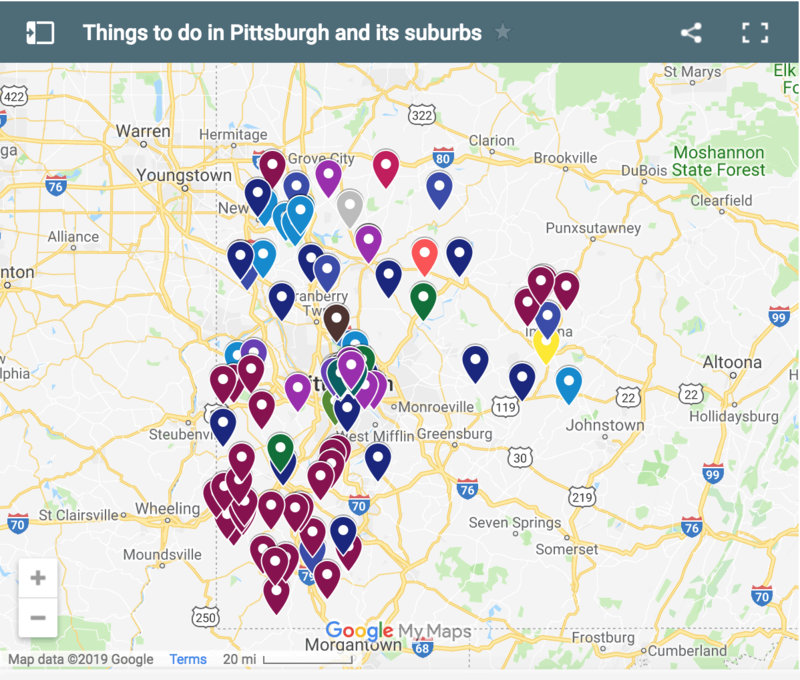 Looking for more places to visit nearby? 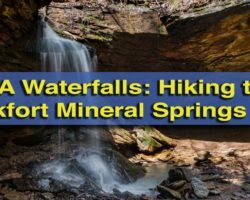 Check out the Armstrong County Historical Society Museum, the Maridon Museum, the Harmony Museum, and the Living Dead Museum. Good article. He has a picture of the museum interior in which an old car can be seen in the background. The car is an ERSKANE. MY grandfather had one. ERSKANE was manufactured by Studebaker in South Bend, Indiana. Visited this museum on 29 July 2018. Enjoyed talking to the museum director/curator. Worth the trip. Glad you enjoyed your visit. It’s a great hidden gem.